The Sadler 29 is one of the unsinkable Sadlers, with twin GRP hull skins separated by closed cell foam buoyancy. These boats have an excellent reputation for handling and seaworthiness, and make good safe family cruisers with a turn of speed. The Sadler 29 has an excellent reputation for handling and vice-free performance, and an early example was the first production boat in class in the 1982 Round Britain race. 'Yachting Monthly' reviewed the design and commented "....It would be hard to find an easier boat to sail, and she feels as though she could cope easily with bad weather". This particular example is well presented with a very pleasant interior and believed to have had only three owners from new. 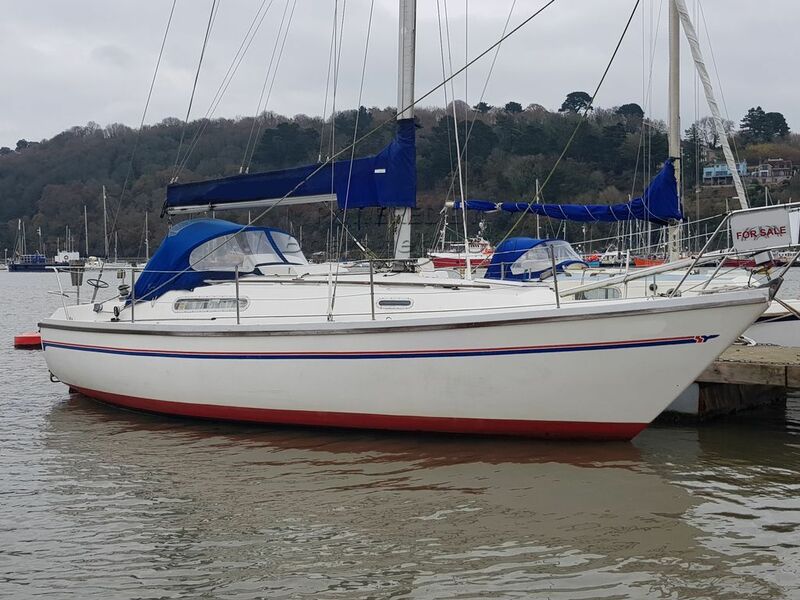 This Sadler 29 has been personally photographed and viewed by Phil Key of Boatshed Dartmouth. Click here for contact details. Please note this comments section is public. Please do not post your personal details here. To enquire about purchasing this boat, please contact the broker directly at philkey@boatsheddartmouth.com. Please read our commenting guidelines before posting.